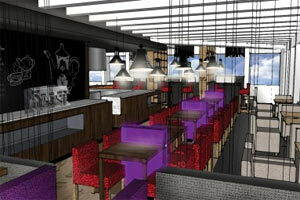 The place to be in Amsterdam will open its doors in August 2012! 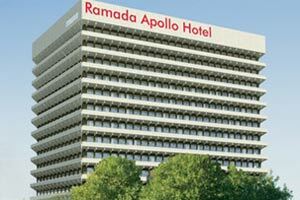 The 4-star Ramada Apollo Amsterdam Centre is located within the ring road in the heart of the Rembrandt Park and will offer 446 luxurious rooms with stunning views overlooking Amsterdam. With tram 13, which stops next to the hotels, it only takes you 15 minutes to go to the city centre. The hotel is easily accessible from the motorway A10 and Schiphol International Airport is located within a 10 minute drive. Ramada Apollo Amsterdam Centre will offer a fantastic restaurant and skybar Floor17; for the perfect lunch, dinner or drink! Furthermore the hotel offers free WIFI, 300 indoor parking spaces, onsite coach parking, group check-in desk, sauna, fitness centre and shuttle service to Schiphol Airport. Organize a meeting in one of the 8 inspiring meeting rooms, 5 of which are located on the 18th floor with stunning views.